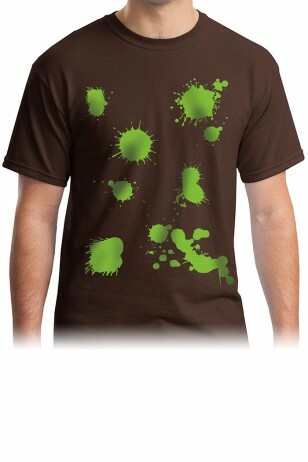 Splats on front. 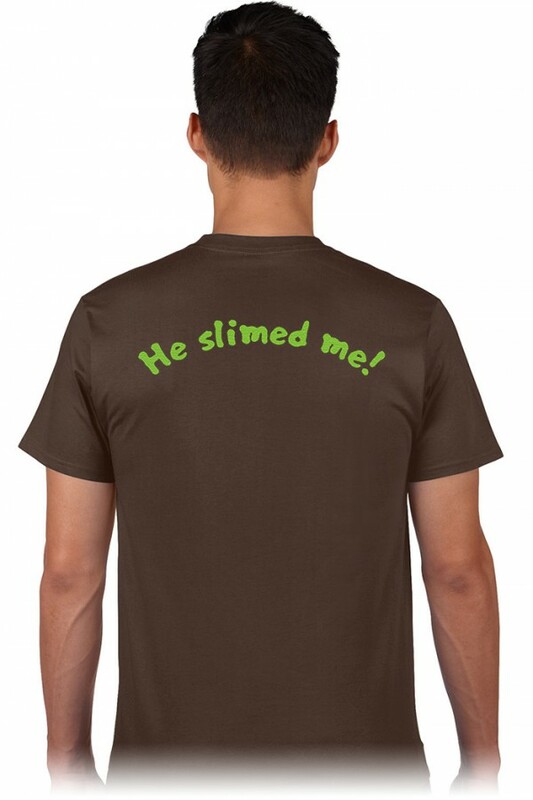 He Slimed Me! on back. Printed in a slime green 'puffed-up' print on the Front AND Back.